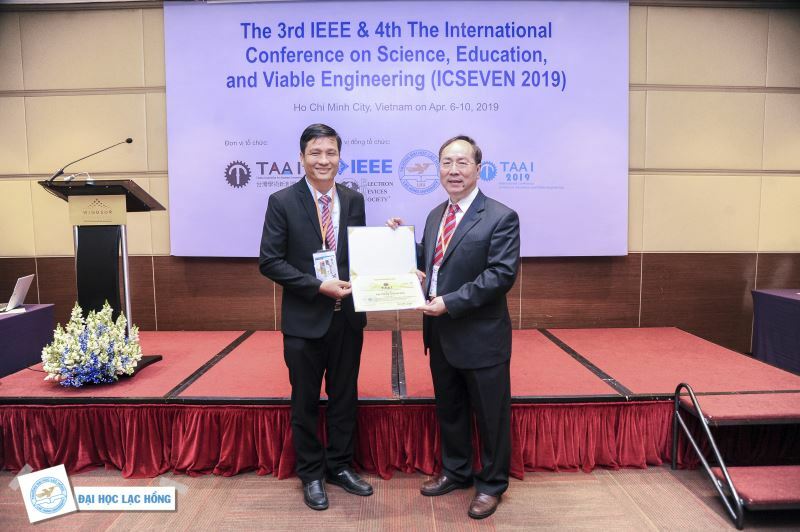 LHU delegation recently attended the 3rd IEEE & 4th International Conference on Science, Education, and Viable Engineering (ICSEVEN 2019) held at Winsord Plaza Hotel, Ho Chi Minh City on April 6-10, 2019. 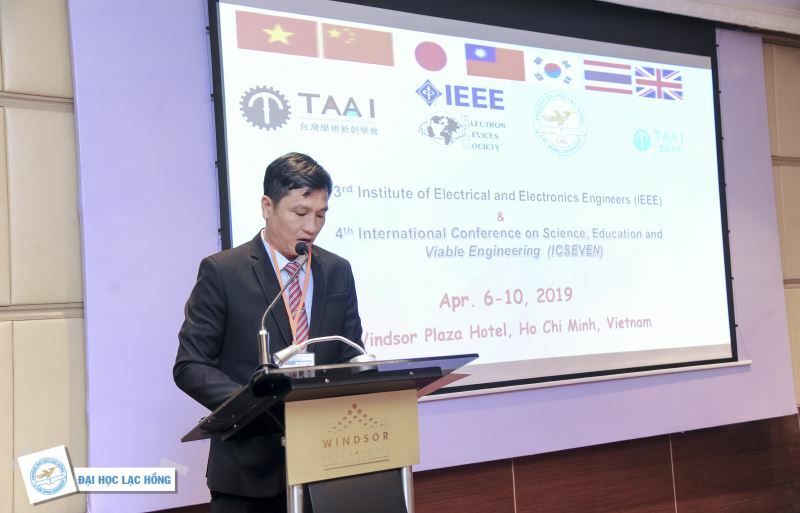 The conference was organized by LHU, Taiwan Association for Academic Innovation (TAAI) and the Institute of Electrical and Electronics Engineers (IEEE). The conference saw the presence of more than 80 scientists, researchers, scholars, industrialist in the fields of science, education, natural resources management, serving social sustainable development goals. This conference aimed to promote international exchanges between LHU, TAAI and IEEE units through the introduction of scientific articles relating to renewable energy, battery technology, material science, microelectronics, computer science, mechanics and automation, creative design, management science, education science and STEM (Science, Technology, Engineering and Maths). At the conference, LHU presented 9 scientific articles. 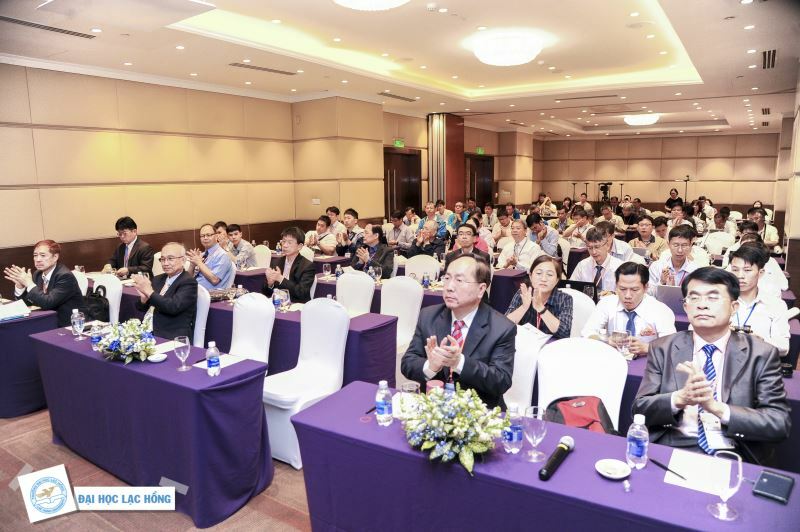 Attending the conference, LHU delgation included Pernament Vice Rector Lam Thanh Hien, Vice Rector Nguyen Vu Quynh, leaders of International Relations Department, Scientific Research and Application Center, Mechatronics - Electronics Faculty, Information and Resources Center. The conference specifically addressed the contents such as Building a exchange forum for the educational and technological cooperation for the community of international professionals, managers, educators and engineers in the fields of Engineering, Science, Education, Management of Global Resources, Thereby introducing new research results and applied products, Strengthening the link between "Research, Training and Production" in Renewable Energy and Fuel Cells, Strengthening sharing and learning among education systems all over the world and to find out core elements leading to successful learning, practical applications, and business opportunities. Through the conference, the Organization Board conducted the evaluation of registered research projects. Excellent papers in ICSEVEN 2019 will be recommended to be published in prestigious SCI or SSCI journals. The ICSEVEN 2019 is an opportunity for young scientists of LHU to contact and welcome new steps in the fields of Electrical - Electronics Engineering and Science - Educational Technology, at the same time, promoting international exchange activities, creating an environment for lecturers and students to approach international academics.